Soft, relaxed, and easy to wear as your bump is growing, or during breastfeeding. 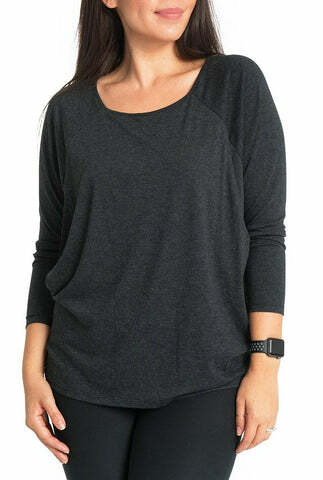 This tee is a mom's best friend, or shall we say "breast" friend, especially during postpartum recovery when you want something breathable and comfortable to wear. Super comfy, easy to nurse in, and I love the teal color!